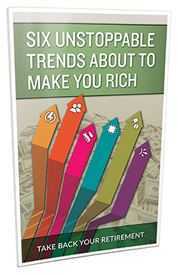 Getting your money in ahead of the next big trend – that’s how you make real wealth. Let the Money Map Report be your global profit guide. 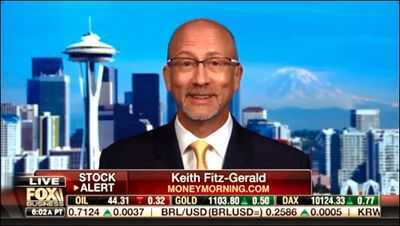 Keith Fitz-Gerald and his team of investing specialists pool their huge network of contacts and 100+ years of combined experience to identify the biggest profit opportunities, well before Main Street catches on. Find out which fast-moving trend is about to reward investors, the best way to play it, and how to structure your portfolio for the biggest gains. If you’re a Money Map Report subscriber, click here to login. If not, see below for more information about Money Map Report. If you’re currently age 50 or older and enrolled in Social Security or collecting on behalf of a spouse, please pay close attention to the following message. Several audits by the U.S. Inspector General have found extraordinary errors in the processing and payment of Social Security checks. The report determined that for the last 33 years an enormous group of recipients have been drastically underpaid. As a result, these Americans who have filed to collect certain benefits may be collectively owed hundreds of millions in underpaid checks. Most victims of these errors have no idea they could be owed money – a sum that could equal $23,441. Everything is explained below, including questions to help you determine if you could be entitled for this money. Please note: We are not a government agency and are not associated with Social Security. We’re a private, independent financial organization that conducted our own exhaustive investigation into these Inspector General audits. And we’ve found that this oversight by employees of the federal government put an enormous amount of money up for grabs for countless unknowing Americans. In fact, this cash remains in the pocket of the Social Security Administration, which is sitting on $2.85 trillion that’s set to be disbursed. Fortunately, it’s not too late to receive this money. The vast majority of this unpaid cash is still waiting to be claimed. 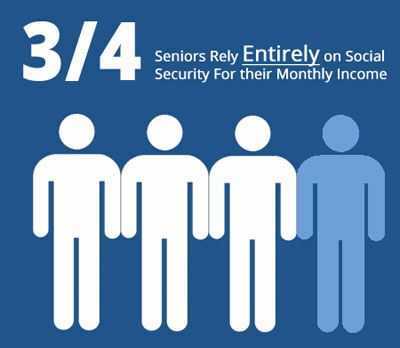 And if you are eligible for just one of these common Social Security benefits, and were underpaid, you could collect your share as a lump-sum payment. If you are willing to dedicate the time, you could speak to one of their agents or you can dig through their 2,728 rules and thousands of additional sub-rules outlined in their complimentary Social Security’s Program Operations Manual to get details on this underpayment. Or pay a financial advisor to sort through everything. But we’ve already done the hard work for you. In fact, it has all been outlined in an official report on behalf of the Office of the Inspector General. The Office of Inspector General (OIG), a branch of the U.S. Department of Health and Human Services, recently conducted three monumental audits on the Social Security Administration. OIG represents the federal government’s largest team of civilian auditors. Every year, OIG convicts hundreds of individuals and their companies who misuse or steal taxpayer dollars. Their work recovers BILLIONS for hardworking U.S. citizens like you. In 2015, this same organization returned $3.35 billion of U.S. taxpayer dollars due to oversights in healthcare spending during the Obama Administration. The three recent audits by OIG exposed what might be some of the most irresponsible Social Security errors since they began monitoring government oversights, over 40 years ago. 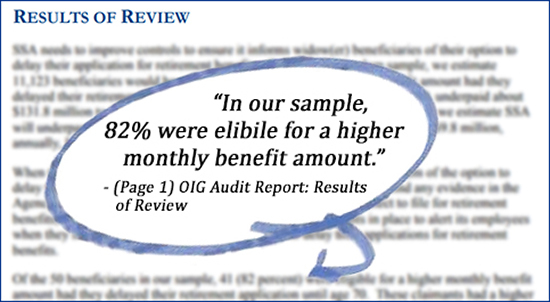 Based on random samples, the OIG audits concluded that the Social Security employees incorrectly processed claims – leading to a collective underpayment of multiple millions of dollars to people eligible for certain benefits. According to the most recent audit in February 2018, a vast majority – 82% in fact – of specific people eligible for certain related benefits – were owed money. These OIG audits are just the latest example. There are countless other instances still under the radar. Take Hawaii widower, Denise Felton, for example. She recently found out she was underpaid $56,255 in Social Security due to the same type of miscalculations. In her case, they went completely unnoticed for 15 years! The audits alone show that there are tens of thousands of others just like her. And those audits are based on random samples. So, how do miscalculations like these even happen to begin with? In many cases, Social Security calculations are automated. But there are other instances, involving limitations and exclusions, when Social Security Administration personnel must make calculations manually. And just like all humans, governmental employees make errors – probably even more often than you would think. 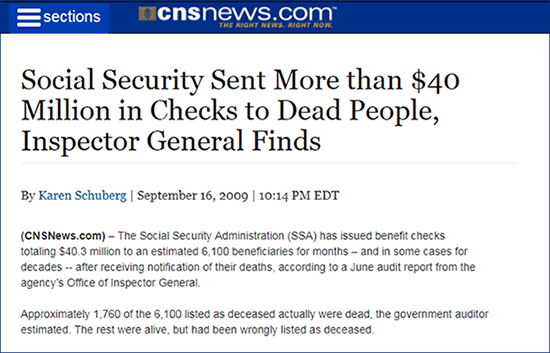 For example, a separate OIG audit showed that a filing error by Social Security Administration employees resulted in more than $40 million being paid to people who are not even alive. And another recent OIG audit (this one for HUD) found that their government employees had wrongly “rounded out” dollar amounts on financial statements, costing taxpayers over $500 billion. Yet another error recently occurred when SSA employees did not properly account for cost of living increases, shortchanging recipients $139,803. When subtle errors like these are made, they usually go undetected. That’s because the rules surrounding Social Security are extremely complicated. In fact, there are more than 2,700 rules governing Social Security benefits. If you don’t know all the rules, one simple error could easily cause 12-months’ in underpayments of your Social Security benefits to slip through the cracks. In Denise Felton’s case, these underpayments went on for 15 YEARS. We’ve gone through all the rules governing underpayments. And if you are eligible, we lay out everything and show you how you can receive your share of that $25 billion in unpaid benefits right now. In the first OIG audit we analyzed, there’s as much as $303 million up for grabs – and that’s just the total amount for this case alone. Remember, the Social Security Administration has already admitted to making these errors. All you need to know is the necessary steps needed to hold them accountable for paying the unpaid benefits. 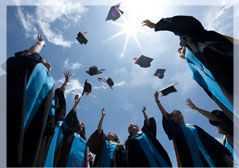 It could entitle a recipient age 50 or older to a lump-sum payment of up to $23,441. That’s on top of the $33,456 in additional benefits you could be receiving this year. And that $56,897 could be in addition to any money you’re currently earning outside of Social Security. Claiming your underpaid benefits now will not affect the payout of your current monthly benefits. It won’t affect your past earnings. You’ll keep that money too. We’re talking about additional money on top of your current monthly checks. All you have to do is ask for it. And you should. Because there’s virtually no chance of getting this money otherwise. But only for a tiny fraction of the total victims involved in this first case. In fact, Social Security was only expected to pay back a tiny group of 29 recipients, as an “appropriate” solution to make up for their own negligence. That’s just 0.11% of the Social Security recipients who were victims in this case! You heard correctly. That means, according to our calculations, 99.89% of the total unpaid money is still up for grabs. If you’re one of the remaining Social Security recipients over the age of 50 who weren’t paid the money you’re owed, then you need to act now. Depending on your specific situation, the SSA will impose a strict time limit on when corrections can be made. If you’re already collecting benefits, your time may be running out. Remember, these errors were not caused by a typo you made. This was not a mistake by your current or former spouse… or even by a past employer. These are simple human errors made by employees at the Social Security Administration. Unfortunately, these “small” errors happened to add up to a ton of money. Luckily, if you are eligible, we’re here to tell you how to request your payout. And it could only take a few minutes of your time. By doing so now, you could move your claim to the top of their list. There’s no need to hire a lawyer. And you don’t need to read any of the 27 chapters in the Social Security Handbook. We’ve already done that for you. All you need to do to get started is look at our five questions we’re going to show you in a minute… and understand one simple rule about Social Security entitlement. Now, every person’s situation may be slightly different. But by taking these actions, you could receive your entitled share of these underpayments within five days. My name is Keith Fitz-Gerald. I have spent more than 34 years in the markets as an analyst, consultant, and quantitative trader. I cut my teeth at some of Wall Street’s biggest firms, including Wilshire Associates, which oversees more than $8 trillion for over 600 institutional investors. And today, I’m the Chief Investment Strategist for Money Morning. 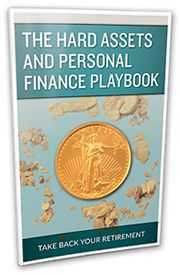 We’re a large financial publisher located in Baltimore, Maryland. And we’re not associated with the Social Security Administration. Month after month, my team and I work tirelessly to provide our 2.6 million readers with the guidance and information they need to protect and grow their wealth. When we first learned about these three significant government underpayment errors as reported by the Office of the Inspector General, we knew we had to do everything we could to fully research this situation… and help folks recover every penny that is rightfully theirs. The number for the first error is impossible to ignore. In total, as many as one in seven of Social Security recipients eligible for certain benefits in this case may collect tens of thousands of dollars in underpayments. Those who are age 50 or older may be entitled to claim a lump sum up to $23,441 in underpaid benefits – that’s IN ADDITION to the money you already collect from Social Security. If you’re already full retirement age, even under age 70, that means you could be collecting up to $56,897 in benefits this coming year ON TOP of any other income you may be receiving outside of Social Security. In total, that’s roughly the average household income for someone age 50 and older. And almost double the household income of someone 65 or older. In fact, there’s even more to the story. The underpayment error was more widespread than initially determined. And 18% were underpaid a whopping $119,501. That means ONE IN TWO of Social Security recipients eligible for certain benefits in this second case could be owed thousands of dollars in underpayments. And the third report goes even further. 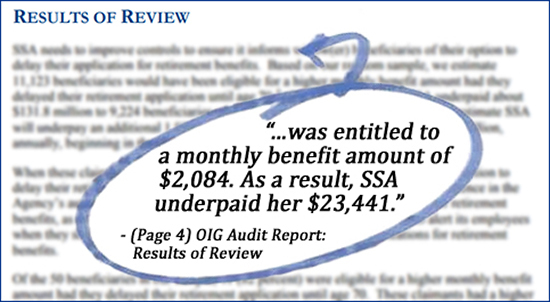 It states that 82% of beneficiaries eligible for certain benefits related to the first reports, were underpaid. Granted not everyone entitled to these benefits was underpaid – and depending on your situation, the amount owned to you may be less than $23,441. But there’s no denying that even if you are entitled to only a fraction of that it’s still YOUR MONEY – and you have the right to recover every penny owed. The next step could be recovering your portion of the money. It may not be so easy – if you try on your own. That’s because it involves understanding the thousands of rules governing Social Security underpayment – which in your case may go back over 30 years. Remember, according to the Inspector General, the SSA are only expected to pay back a small percentage of potentially underpaid recipients. But by law, if they owe you the money, they have to send you the check. Of course you can always call Social Security and try getting one of their reps on the phone. But luckily, my team and I dedicated five and a half months figuring this all out for you. We went line by line through the entire Inspector General report, dissecting every detail. We examined all 2,728 rules governing Social Security benefits and thousands upon thousands of additional sub-rules outlined in their Program Operations Manual. We’ve determined exactly who is eligible, and what these recipients must do to collect their funds. Of course, every person’s situation is different, but you could receive your check in as little as five days. And we put that all in a report that I’d like to rush to you right away. It’s called: How to Claim Your $23,441 in Unpaid Social Security Benefits within the Next 5 Days. This report was created to help you recover your unpaid benefits as easily – and as quickly as possible. First, we’ll walk you through the full OIG findings and spell out in easy-to-understand language how the errors by the Social Security Administration potentially cost you thousands of dollars. Next up, you’ll learn the simple steps that could land you a check for as much as $23,441. You could get this information for free from the Social Security Administration if you know where to look – or who to call. But we’ve made it easy for you. Everything is outlined for you already in our report. We show you how to get your claim to the front of the line. And depending on your situation, get your check in your mailbox in as little as five days. 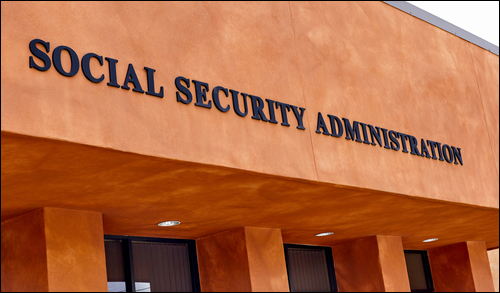 The Social Security Administration is one of America’s biggest government bureaucracies. It employs over 60,000 people in 10 regional offices, 6 processing centers, and 1,230 field offices around the country. Trying to navigate this labyrinth on your own could be – to put it mildly – challenging. Instead of receiving a check up to $23,441 in as little as five days, you could be spending your time talking on the phone. 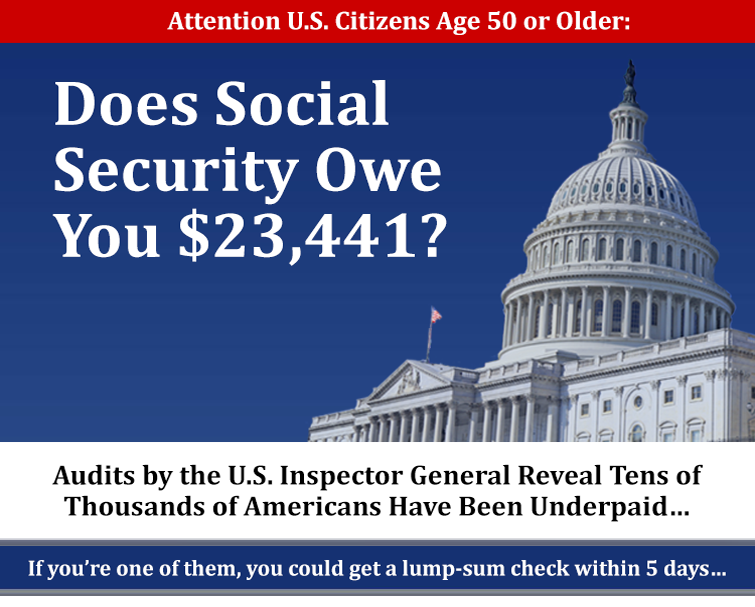 How to Claim Your $23,441 in Unpaid Social Security Benefits within the Next 5 Days will help you to avoid all that and claim the money owed to you without hassle. Remember, you may be eligible to receive much more than $23,441. All because of some processing errors by SSA. So with this report as your guide, you can learn all the details of this gross oversight – and underpayment – by the SSA. There is also a strict deadline on when citizens have a right to claim their unpaid benefits. It’s different for each individual based on when the underpayment began. If you delay, you run the risk of losing this money forever. But armed with the information in my report, you’ll have everything you need to demand the Social Security Administration pay you every penny owed. But we are going to rush it to you for FREE. And this urgent report is not the only thing you will receive today. It’s our mission to make sure you get the money you are entitled to. The Social Security’s math doesn’t add up. A few years back, Time magazine reported that a married, middle-class couple now pays, on average, $598,000 in Social Security taxes during their careers. Yet, when they retire, they can only expect to receive $556,000 in benefits. Forget keeping up with inflation. Instead of paying for the “privilege” of Social Security, Americans might as well take their money to the closest slot machine. They’ll have better odds of coming out ahead. American’s are completely missing out on millions of dollars in Social Security benefits they could be receiving each year. For example, if you are married, a provision in the Social Security bylaws allows you to call up your Social Security clerk, make a simple six-word request, and immediately raise your income by an extra $1,329 a month. In fact, Social Security Advisors, a high-end consultancy firm in Manhattan, report that 71% of married couples are missing out on an average of $120,000 in benefit income. And it’s not just married people. Divorced folks are also missing out on huge benefits too. In fact, if you are divorced, there is a single line on your last tax return that could reveal if you’re eligible to claim as much as $15,948 extra per year. And you don’t have to feel guilty, because this won’t negatively affect your ex’s benefits. Parents or grandparents are also eligible for special “education” benefits most people have no idea exist. In fact, there is a two-step filing method that could provide enough money to pay for your children, or grandkids, to get both a bachelor’s and master’s degree. Last I checked, there was $2.5 billion available, just in this program, for the taking. 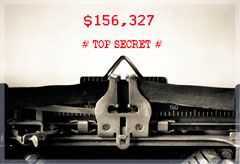 We also uncovered a Social Security filing tactic that had a value of up to $177,000 for eligible recipients. Think about what you could do with an extra $177,000. Could you pay off your mortgage? Could you take your entire family on a once-in-a-lifetime trip across Europe? All of this could be right in front of you, courtesy of Social Security. And these examples are only the tip of the iceberg. A former member of President Reagan’s Council of Economic Advisors, and is currently with the National Bureau of Economic Research. 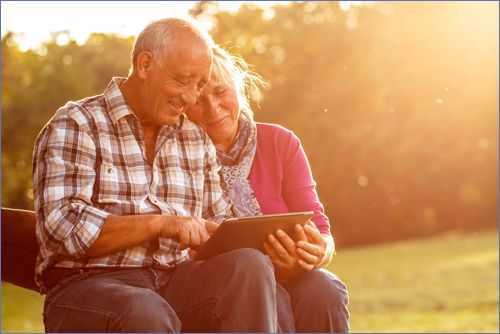 Now, I’m sure if you dedicate the time, you can dig through Social Security’s complimentary publication and find details on each of their benefits. You could also speak to one of their agents or hire a financial advisor to sort through everything. But why should you have to jump through all of these hoops? My team and I believe that it shouldn’t be so difficult to get what you deserve from this safety net. It is no longer a viable option to just sit back and assume Social Security is going to give you what you’ve earned. You have to take matters into your own hands. And we’re going to help you. We have created an additional report that we want to rush you right now. It reveals 15 Social Security benefits that are so lucrative they could grow your net worth by seven figures. What is in this report could make you $1 million (or more). 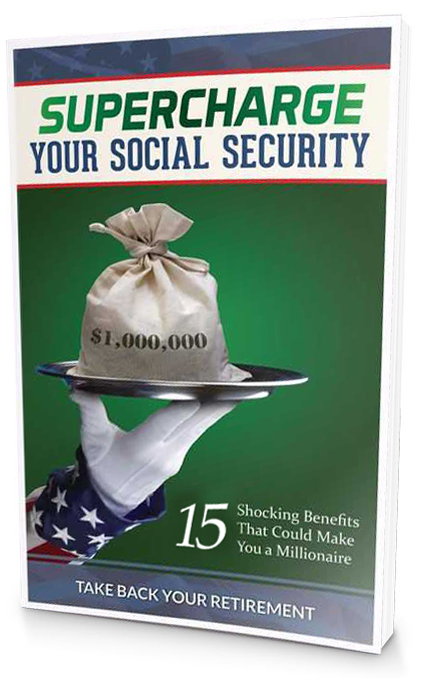 Which is why it’s called: Supercharge Your Social Security: 15 Shocking Benefits That Could Make You a Millionaire. And we want to send you a copy for FREE. This powerful filing method is literally available to every person eligible for Social Security. If you are eligible for Social Security, you are eligible to collect what could be an extra $156K. But only 1.4% of recipients are cashing in on this. Yet only 1.4% are currently claiming this money. This is mind-boggling when you consider that a Harvard economist has estimated it could be worth $156,327. It’s highly likely that a vast majority of Americans have no idea that the “DRC Provision” exists. But you’re about to be shown how to use it to your advantage. PLUS, we can show you how to use this DRC Provision to avoid the #1 filing mistake that could cost you $17,688 a year. Nearly 8 out of every 10 Social Security recipients are making the same costly error. They aren’t considering their “crossover” calculation when they file. Before you make the #1 filing mistake! You could be missing out on $17,688! That means each of these Americans is leaving potentially $17,688 a year on the table. I think you could probably find some good uses for that money. You can read up on this benefit in Supercharge Your Social Security. In fact, the report goes one step further with some helpful online tools you can use. Bright Future They Deserve… TODAY! Studies show a college education can mean an extra $1 million in career earnings and a master’s degree can lead to an additional $1.4 million. Wharton is the business school at the University of Pennsylvania – a top Ivy League institution. Remarkably, while this breakthrough has nothing to do with Social Security, you’ll be shown how to use it for this safety net. And you’ll be happy you did. Tap into a “Lucky 7” set of benefits and it could grow your net worth by seven figures. You could be eligible for this million-dollar payout, even if you’ve never earned a big salary in your life. You’ll get all of the details in Supercharge Your Social Security. Even most financial planners don’t know this, but you can essentially get a one-year, interest-free loan from Social Security. It’s a great option if you’re looking to start a business, or want to pay off some of your higher interest credit card bills. Or maybe you just need quick cash and you don’t want to trigger penalties by selling retirement assets early. As you’ll see in Supercharge Your Social Security, this money is yours to do with as you please. I Would Like an Extra Eight Grand! The SSA has also created a benefit that allows you to kick-start your retirement with a one-time $7,972 payday. There are three ways to qualify. And each is covered in this report. Have You Celebrated Your 10-Year Wedding Anniversary? The traditional 10-year wedding anniversary gift is tin. If you’ve been married for at least 10 years, you could use this Social Security benefit to add an extra $1,300 a month to your bank account. But the SSA has a much better present in mind… cold, hard cash. Couples who have been married at least a decade are eligible for as much as a $1,300-a-month raise to their Social Security payments. All they have to do is step forward and claim it. That can certainly buy a lot of tin candlesticks, tin pots, and tin picture frames. Learn how easy it is to receive this money in the report, Supercharge Your Social Security. In October of 2017, the Social Security Administration announced a cost-of-living adjustment (COLA) for Social Security payments of 2%. Don’t think this measly increase is ever going to help you with the outrageously expensive cost of living we’re seeing in America today. The good news is, if you filled out the specific form you’ll learn about in this report, then you’ll have set yourself up to receive an 8% raise for FOUR consecutive years. That’s more than double the 3.88% COLA has averaged over the last 40 years. And this could mean an extra $10,224 a year! This Benefit Could Be Used to Collect $193,000! Maybe you were a stay-at-home mom and never paid a single dime into Social Security. Or maybe you left your career many years ago and believe you didn’t earn enough credits to qualify for benefits. That doesn’t mean you are shut off from collecting Social Security. Far from it. An estimated 12.4 million Americans could be eligible to receive as much as $193,330 (some even more). My report will give you all the details on how to collect this enormous sum of cash. 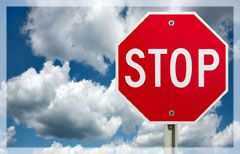 Sick of the IRS Taking Too Much from Your Social Security Checks? There once was a time when your Social Security checks weren’t taxed. Keep your hard-earned Social Security income out of the hands of the IRS. All it takes is a few mouse clicks. Today, depending on your income, up to 85% of your benefits can be taxed. In other words, you entrusted your hard-earned money to the government during your career. And much of it they turned around and used to pay for things completely unrelated to Social Security. Things you may not have voted for if given the choice. Then when it’s time to finally get your money back, the government has the gall to tax you on it. But instead of getting mad… get even! 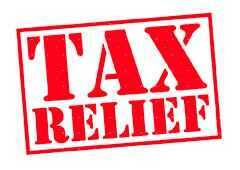 There is a remarkable way to legally shelter your income so that your Social Security is shielded from the IRS. You can do it with a few mouse clicks. 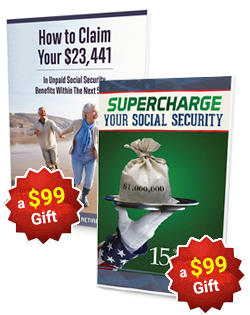 Everything is revealed in Supercharge Your Social Security. 1 Question… 1 Minute… $106K! Millions of Americans could claim an extra six figures in Social Security benefits with minimal effort. In fact, if you are in this group, you might have $106,000 coming your way. Even if you’ve already started collecting benefits you could still take advantage of this. To get the process started, all you’ll have to do is to fill out a form that is so simple, it should only take you one minute to complete. There is literally a single question on it. Do not pass this opportunity up! Everything you need to know will be spelled out in easy-to-understand language in my report. Including a way for eligible parents to collect an extra $26,304 a year based on their child’s work history. Supercharge Your Social Security will Empower YOU. My team and I aren’t affiliated with the SSA. 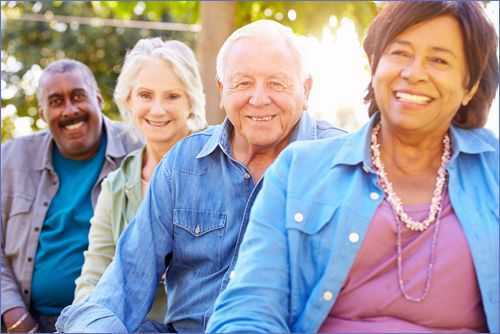 And even if you don’t accept Supercharge Your Social Security from us, we still strongly encourage you to review the complimentry materials the SSA provides on each of their benefits. In fact, we’re going to help you there, too. This report will show you exactly where on the SSA’s website to look for every opportunity we examine. We Want to Give YOU the Tools Necessary to Take Control of Your Social Security. This way you are able to squeeze every penny you deserve out of this safety net. You have, without question, earned it! Now, to be clear, you may not be eligible for every one of these Social Security benefits, strategies, and tactics. And claiming some will require more legwork than others. Which is why we’re taking all of the guesswork out of the equation. 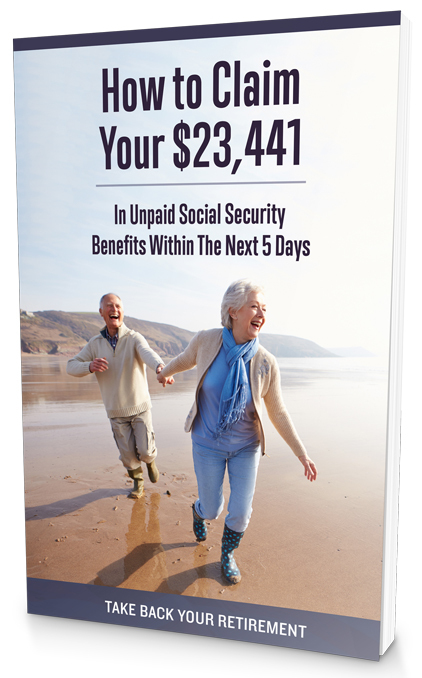 Both of my reports: How to Claim Your $23,441 in Unpaid Social Security Benefits within the Next 5 Days… and Supercharge Your Social Security… make everything easy for you. And the amount of money you stand to receive. Locking in just one of the opportunities in this report could mean tens of thousands of extra dollars in your pocket. If you are eligible for a few of them you may be able to grow your net worth by six figures (or more). After all there is $25 billion on the table here. And these two urgent reports are just the beginning. You see, these reports form a much bigger initiative. And you are invited to join it. This Initiative is FOR YOU! It’s no wonder so many Americans are forced to lean on Social Security. Since the recession, salaries have plummeted to levels we saw in the late 1980s and early 1990s. And thanks to inflation, $1 in 1990 is only worth 54 cents today. But the state of our investing is just as perilous. Most workers have been told that 401(k)s can help secure their retirements. 401(k)s have historically averaged a 4.8% return. Those same 401(k)s can charge up to 3% a year in management fees. How is anyone supposed to get ahead? How is anybody supposed to retire when facing such impossible odds? When you take a step back and look at the big picture, what you’ll find is startling. The Total Retirement Deficit for Americans Has Now Reached an Estimated $14.7 Trillion. Just to be able to achieve the bare minimum standard of retirement, Americans have to climb out of a $14.7 trillion hole. Again, that’s not to live lavishly. That’s just to get by. So many people now believe that retirement has become an impossible-to-reach goal. But my team and I are doing our part to change that. For Too Long the Deck Has Been Stacked Against Too Many. 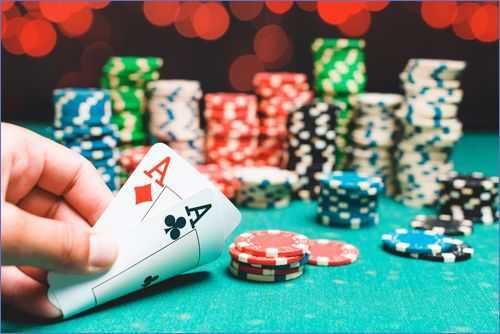 Today, You Get Dealt a Winning Hand! We have launched an initiative we’re calling Take Back Your Retirement. And you are invited to join us. If you are nearing retirement age, but haven’t built up enough financial security to finally enjoy your golden years – this is for you. If you have been fortunate to earn a sizeable nest egg, but want to guarantee it provides you with the comfortable lifestyle you deserve – this is for you. 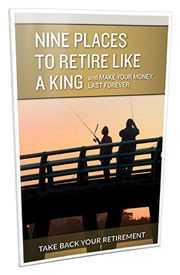 If you are already retired, but want to make your money work even harder for you NOW than it did during your career – this is for you. No matter your story or situation – this initiative will empower you with real solutions and real answers for staking your claim to that retirement you have rightfully earned. It’s critical that you read through this first report right away. Because it will show you the easy steps you should take to recoup any unpaid money the Social Security Administration owes you. In as little as five days from now, you could receive a lump-sum check for up to $23,441. This report is going to map out the steps you should take to determine if you are eligible – then recover every penny owed to you. Make no mistake: The SSA is not going to call you and tell you they owe you up to $23,441. You have to take matters in your own hands – and demand the money that is owed to you. And you have to do it fast – since depending on your situation, there is a specific period of time Social Security gives you to claim unpaid money. But this report could help you recover every penny owed to you in as little as five days – with minimal hassle. You can have this report in your hands today. This reveals 15 Social Security benefits that are so lucrative they could actually mint you hundreds of thousands of dollars – even a million dollars – in extra income. My staff and I painstakingly poured through all 2,740 Social Security rules and soon realized that Social Security offered folks dozens of benefits that most people have no clue exist. If you tap into these benefits, it could be a virtual goldmine – especially for folks relying solely on Social Security for their income. The problem is the SSA makes it very difficult for folks to even understand what they qualify for. So we’ve spelled out everything for you in this easy-to-read – and simple report. This report alone could make you $1 million. But through this initiative, you will also be sent a collection of additional resources. Each will help you defend and grow your wealth by capitalizing on other government programs, as well as the investment markets. Healthcare costs are rising faster than ever. If you feel this trend completely absurd, you’re not alone. We pay $10,000 to $50,000 EVERY YEAR towards medical expenses that in the past cost Americans virtually nothing. And it’s getting worse each year with no end in sight. But, believe it or not, there is a silver lining – one that could allow you to collect a steady stream of monthly reimbursement checks for between $937 and $2,275 every month thanks to the healthcare industry! Thanks to a little-known amendment made in 1978, some savvy Americans are now collecting these very lucrative checks as a form of payment to offset their healthcare costs. This little-known investment income stream can help consumers, like you and me, offset some of the high cost of healthcare and insurance premiums. In fact, we estimate this strategy is paying out $485 million PER MONTH. 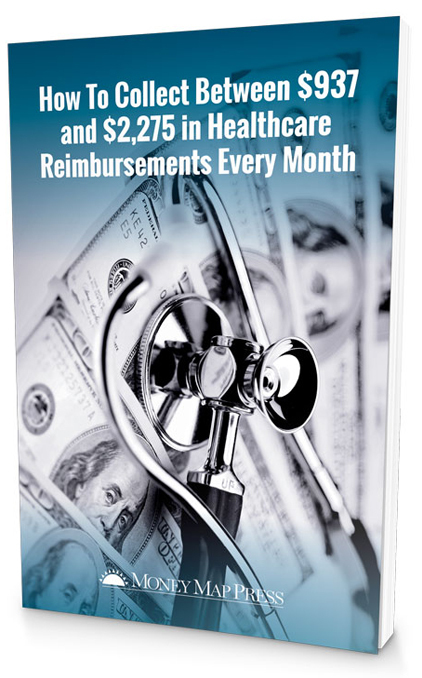 In this very detailed report called How to Collect Between $937 and $2,275 in Healthcare “Reimbursements” Every Month my team and I will show you exactly how to claim your share of that money. There are zero restrictions on who can collect this money. It’s available to anyone as long as you’re willing to make a small investment and follow some very easy instructions. We provide you with all the details of exactly how to take advantage and start collecting up to $2,275 every month. These are checks that must be distributed – so it might as well be you collecting them! 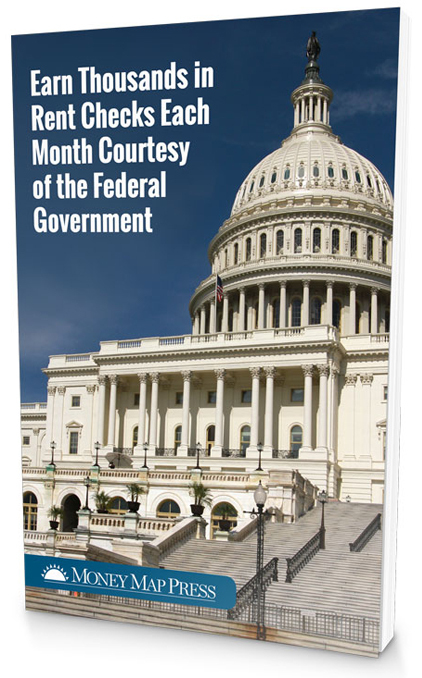 Did you know you can collect $1,795 or more every month in "federal rent checks" courtesy of the U.S. government? Some very savvy folks across the country have known how to take advantage of this distribution policy for years. But in this report, I’m going to blow the lid off this little-known investment opportunity… and show everyday folks how to collect these checks every month, too. You see, thanks to an obscure 1972 law, federal agencies like the Department of Justice, NASA, the CIA – even Congress and the White House… are required by law to pay rent for the properties they occupy. The rent is paid for by taxpayer dollars – and can cost millions of dollars. The government pays the rent to private agencies – and then the private agencies are required by law to distribute the money back to investors in monthly checks. So, if you understand how this works, there is a way for you to receive a check every month from these required distributions. It’s all a matter of getting yourself a coveted spot on the distribution list. And that’s what I’m going to show you how to do in this report. If you follow my instructions to the tee, in 10 minutes you could claim your spot and start receiving checks for $1,795… $2,145… $2,671 or more every month. And it doesn’t require any major hoops to jump through. In fact, you can get started with a simple phone call or by going online. I’ll tell you what questions you need to answer. And within a month your first “Federal Rent Check” could arrive in your mailbox. It’s that simple – and worth every penny. President Trump has just passed one of the biggest tax cuts in U.S. history. But who will benefit from it the most? Corporations, private businesses and those earning more than $500,000 a year – the “one-percent” as they’re known. …to pay an extra $32,623 in taxes. 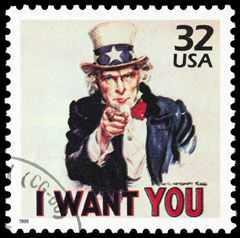 IRS-Proof Your Life will help you protect your money from Uncle Sam! And even with the new tax law, one fact still stands: You have about 50% of this country not paying federal income taxes at all. So it doesn’t take a rocket scientist to figure out who ends up covering way more than their fair share. But you aren’t going to be a victim. We have an escape plan for you. And from these efforts we created IRS-Proof Your Life. Within minutes, you’ll be able to apply many of the legal tips and strategies revealed in this simple-to-follow blueprint. And this could save you tens of thousands of dollars a year in taxes. No way! It’s just the opposite. In fact, your reward for implementing the #1 secret for ducking an audit could be an additional $1,860! It also reveals a way for you to save an average of $1,860 a year (or more) in taxes. Chances are you have a checking and savings account. But there is a third account your bank knows about that can act as a 100% legal tax shelter. Surprisingly, 15.3 million Americans can open up one of these accounts, yet few do. You’re going to want to see if you are eligible ASAP, because it can keep as much as $100,000 out of the hands of the IRS. Could You Use an Extra $5,000… $10,000… $25,000 a Year? And if you are over 18-years-old and have paid taxes within the last two years, YOU may be one of them. All you have to do is complete a simple, four-page form and send it in. Each year, millions of Americans unnecessarily “surrender” $11,600 (or more) in taxes to Uncle Sam. They’re tricked into “default filing” even though they’re not legally obligated to pay this amount. Thankfully, it’s possible to opt out of the madness just by making a 15-minute phone call. 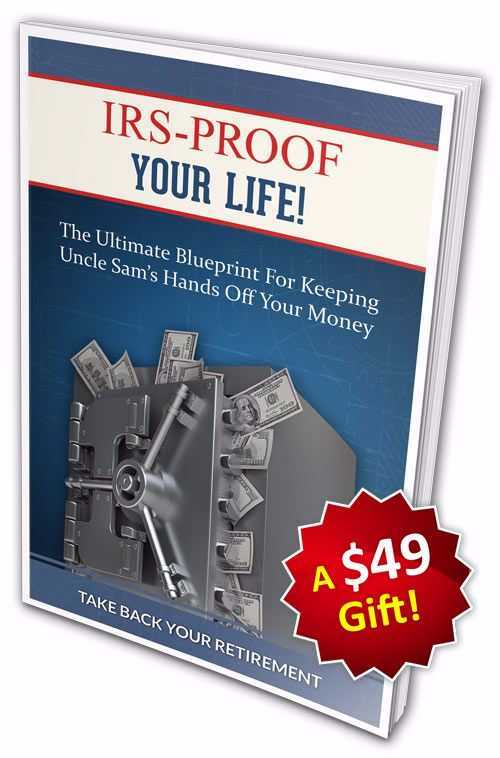 IRS-Proof Your Life shows you how! If you are a middle-class American living in one of the 34 states revealed in this report, you could be suddenly struck by an aggressive $1,039 insurance tax. Fortunately, there is a way to avoid this serious hit to your bank account. One in 10 Americans may qualify for an exciting loophole that allows them to literally double their home loan deductions. Now let’s make it happen! You’ve been responsible. You’ve patiently built an investment portfolio that will last throughout your golden years. 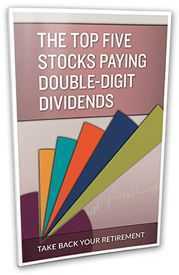 And now it’s time for your dividend income to go to work for you. But politicians regularly target this cash when they’re looking for ways to raise taxes. Fortunately, by filling out an easy form, you can cut your dividend tax bill down by 60%. Everyone knows you have to file taxes by April 15. But the IRS has a second filing date buried in their tax code for certain Americans. I strongly suggest marking it down on your calendar. Because in IRS-Proof Your Life, you’ll see how this date could allow you to grow your retirement account by $6,000. 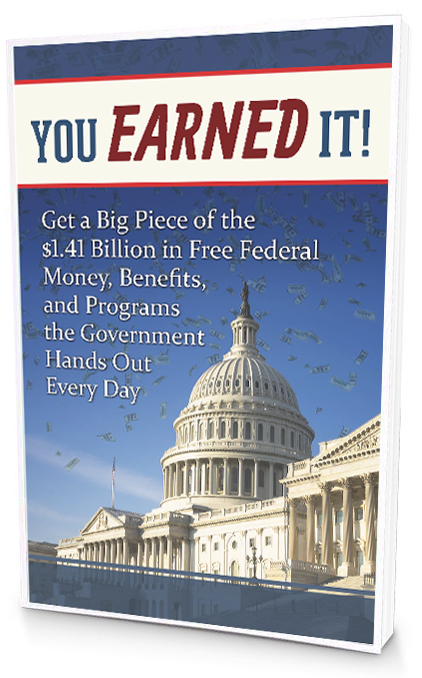 Every day, the government hands out an average of $1.41 billion through a series of programs and, frankly, free giveaways that 99% of Americans have no idea exist. Did You Win the Zip Code Lottery? Live in California? You might be owed a 1-time payout of $250. Your reward may be $350 in Florida and $100 in Illinois. And if you live in Pennsylvania, this is your lucky day, because there may be a $1,000 check with your name on it. See how much money you might have legally coming to you and why. Plus, claiming this cash is simple. You’ll be shown how to do that too in You Earned It. You, and every other taxpayer, are already paying for this cash bonanza. So you’ve earned your piece. But if you don’t step forward and claim this money, somebody else will. Plus, Uncle Sam has also created a series of little-known investment opportunities and carefully negotiated deals that you can’t afford to miss. By taking advantage of these situations a six-figure reward could be yours. Secure a $966,000 “Life Insurance Policy” for Both You and Your Spouse, Thanks to Uncle Sam. We found a tiny Federally-funded program with a staff of just four that offers yearlong, all expenses paid trips. You Earned It reveals how you could qualify for this amazing program. You’ll even see how to get $25,000 for your exciting FREE adventure! Own a Mansion in Boca Raton, Florida, or Aspen, Colorado, for Pocket Change. Receive $127,500 to Open a Winery in Sonoma, California… a Roadhouse BBQ Joint in Downtown Dallas, Texas… or Become a Fishing Charter Captain in Key West, Florida. Get $7,500 to Remodel Your Bathroom and $3,329 to Upgrade Your Roof. …And you can vacation in places like this all over the world 100% rent-free. Tens of thousands of people already are. See how you can join them in You Earned It! 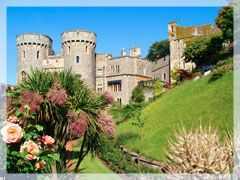 For instance, You Earned It reveals how you can live like a king 100% rent-free in a Norman Castle in France, a Royal Country home in Latvia, a cozy townhouse in Edinburgh, Scotland, even a farmhouse with a spa in Auckland, New Zealand. Just fill out a simple online form and you could be on your first getaway within two weeks. This type of opportunity could allow you to live the retirement of your dreams. And it’s only one piece of this incredible package you are about to receive. 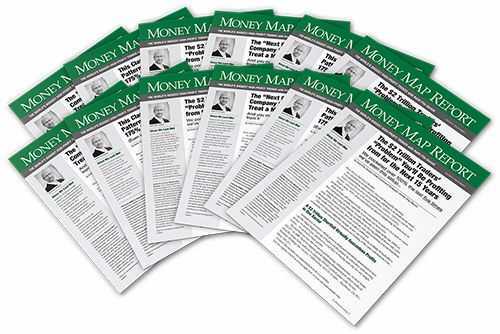 A Money Map Report membership for just $39. That’s 87% OFF. You are also getting a 30-day, 100% RISK-FREE membership to Money Map Report. 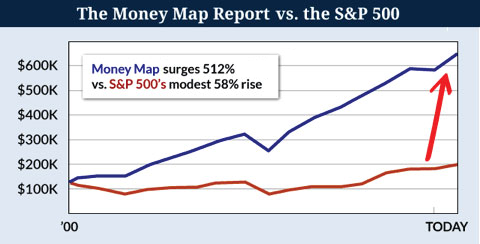 Money Map Report was started as a way to help everyday Americans capitalize on fast approaching events. To accomplish this I focus exclusively on six key trends in the markets. The world is complicated. From North Korean nuclear threats, Russia money laundering and election hacking, to fears of China’s stock market collapsing, it can be hard to determine where the safe havens are for your money. But if you look throughout history, it becomes very clear that these are the trends that push our economy forward. They are the forces behind the world’s biggest developments. 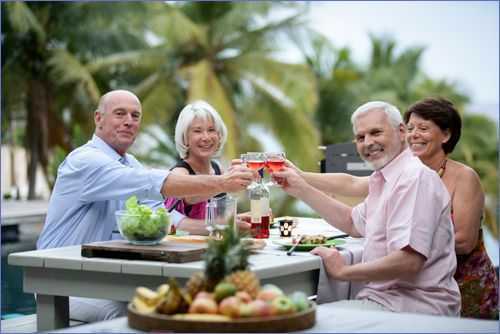 And by focusing on them, my Money Morning team and I have been able to uncover a nonstop series of high reward investment opportunities for Americans who are looking to fortify their retirements. Every month we release a new edition of the Money Map Report that explores the powerful trends and stories that will impact the economy, the markets, and your wealth. This publication is streamlined. It cuts through the clutter to deliver the exact information you need to know… at the moment you need to know it. 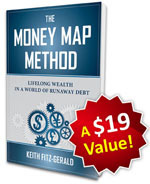 You will also receive a personal copy of my book, The Money Map Method. It reveals a collection of investment secrets learned from decades working with and inside Wall Street’s most powerful institutions. Now, had that money been allocated to the S&P 500 back in 2000, it would’ve risen 35%, hitting $171,214. Not bad by any standard. But it doesn’t measure up to Money Map Report. It’s not even close. If you were to back-test it, that same $127,000 would’ve transformed into $585,283 using the Money Map Report’s proprietary investing approach. From the bursting of the dot-com bubble, through the Great Recession, and right up until today, this methodology can protect and grow your wealth during periods of crisis and prosperity. It has, year after year, outperformed the market by a wide margin. This Is the Secret Weapon for Taking Back Your Retirement. The Money Map Report is priced so nearly anyone can afford it. In fact, the retail rate for an annual membership is $299. A $10,374 Wake Up Call! “One year ago I wouldn’t have thought that someone in the world could make 1,000% in 3 days. Nothing makes me prouder than hearing how Money Map Report has helped change our readers’ lives. Some have used our research and investment guidance to make tens of thousands of dollars, others hundreds of thousands, even millions of dollars. From land, to antiquities and art, to currencies and precious metals, this report reveals the secrets to acquiring the most valuable hard assets at the cheapest prices. Plus, you will discover the safest banks and credit unions. It also examines specific CDs and income opportunities that are most shielded from risk. For instance, one offers a 12% yield and another can earn you $23,000 a year tax-free! 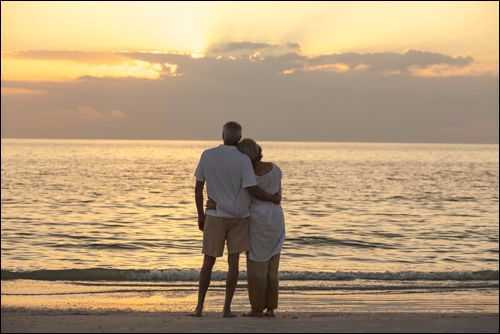 If you are looking to retire comfortably, you need INCOME. Passive income. The kind of cash that flows in month after month. That’s what this report delivers. The five cash cows revealed in its pages offer what every income investor wants most: a safe, generous, and rising payout. In fact, the average annual dividend from these picks is 17.7%. A short while ago, I mentioned how there are six trends every investor can use to conquer Wall Street. This report gives you an immediate way to capitalize on each of them. You’ll discover an unconventional energy opportunity that has secretly outperformed the market by 7-to-1. And it’s primed to do even bigger things moving forward. You’ll also be able to tap into a biosciences firm perfectly positioned for America’s quickly aging population. Plus, there is a next generation robotics technology set to rise from $91.3 million in revenue today to $1.1 billion by 2020. That’s 1,100% growth. And one company is set to be at the center of it all. This is just a small glimpse of what’s in this report. These nine small-town retirement havens offer a mix of city sophistication and country charm. With each destination you’ll enjoy gorgeous weather, zero pollution, top hospitals, low crime, and vibrant social scenes bustling with activities. Most important, with a cost of living that’s 32% below the national average, you will get way more bang for the buck. In fact, you might be shocked at how cheap the good life can be. One of our favorites doesn’t tax the first $41,000 of retirement income. Another is in a state with zero inheritance or estate taxes, PLUS no tax on Social Security benefits, either. You get all this just for joining Money Map Report. You have an amazing opportunity in front of you. You could finally get everything you are entitled to from Social Security and the government. You could protect more of your money from the IRS. You could exponentially grow the value of your investment portfolio. You could live the life you choose without the worries of money. YOU CAN TAKE BACK YOUR RETIREMENT! All that’s left is for you to join this initiative.